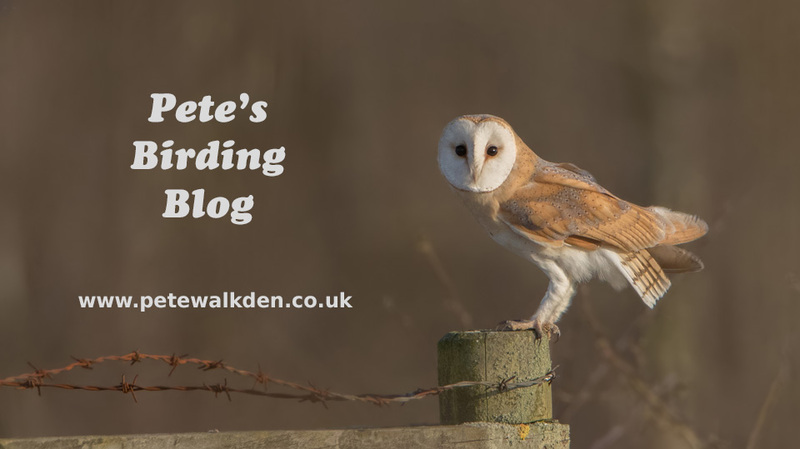 According to this blog, it has been four years since I visited the Somerset Levels and that, for someone who loves the area, is quite frankly embarrassing. With a solitary day of decent weather nestled in a week of vile wet offerings, I was up before 5am and was parking up at the new (for me) RSPB car park at Ham Wall just before 8am. Since my last visit, the RSPB have not only built a new car park, but added a visitor centre, toilets and landscaped an area nearby, with ponds and sculptures too. It's all rather lovely, and this all leads to a new path to the main reserve. Also new to the site is a large hide (Avalon) and that was where I wandered over to first. With a few photographers already peering from the windows, I chose a free space, and opened the large window. 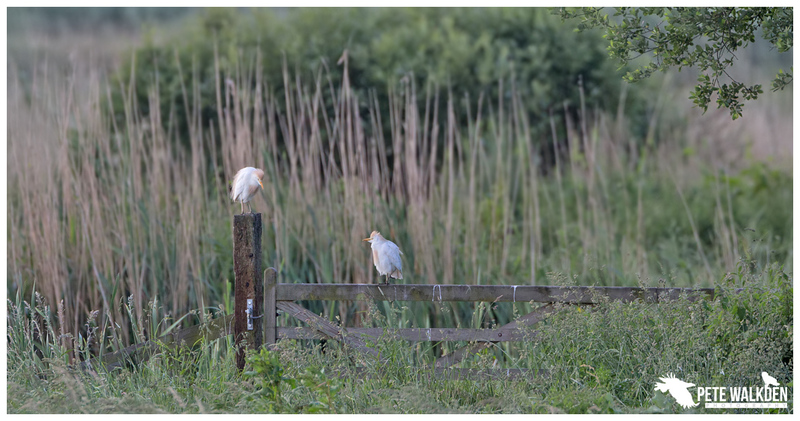 I had barely had chance to get the seat in position when the cattle egrets I had hoped to see (a "tick" for me) popped out of the vegetation and perched at some distance on a gate. 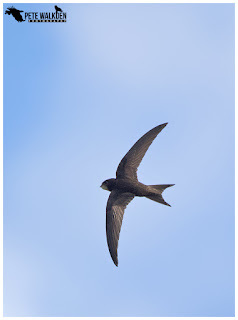 True to form, they were hanging around an area being grazed by some cattle. 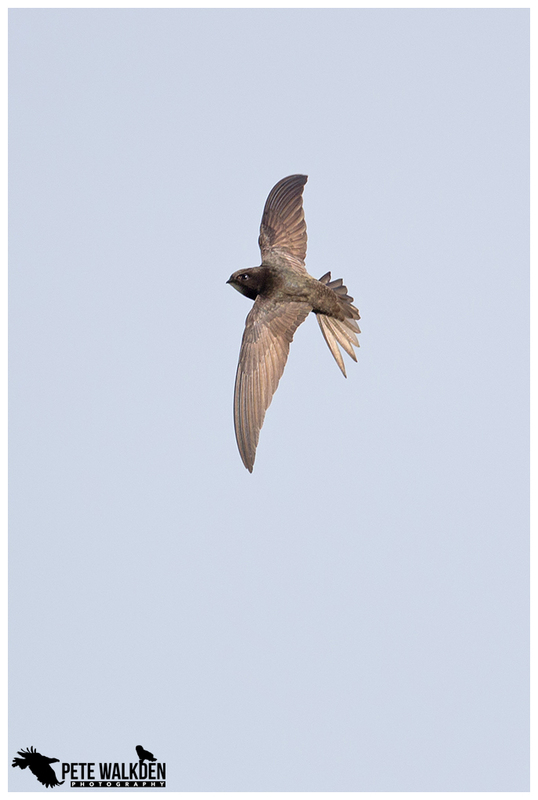 I grabbed some record shots, before turning my attention back to the swifts buzzing around the hide. I really need to invest in a new 100-400mm lens, as mine just isn't fast enough to lock on, so I had to use my 500mm, and hand-holding that isn't easy. Still, it was fun to try, and I hoped would "get my eye in" ready for any hobbies that might be around. That is if my eyes hadn't shrivelled up and fallen out by then! 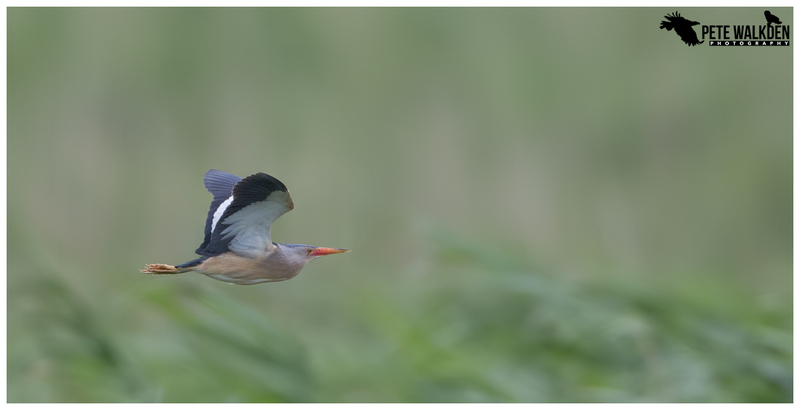 After the fairly distant initial views of the cattle egrets, it was pleasing to see one fly past a bit closer, and as I was set up for the swifts, I didn't have to change anything for it, and grabbed a series of images as it drifted slowly by. The pool in front had a couple of great-crested grebe chicks swimming around, with their parents busily bringing back fish for them. Not always of the right size, but entertaining to watch. 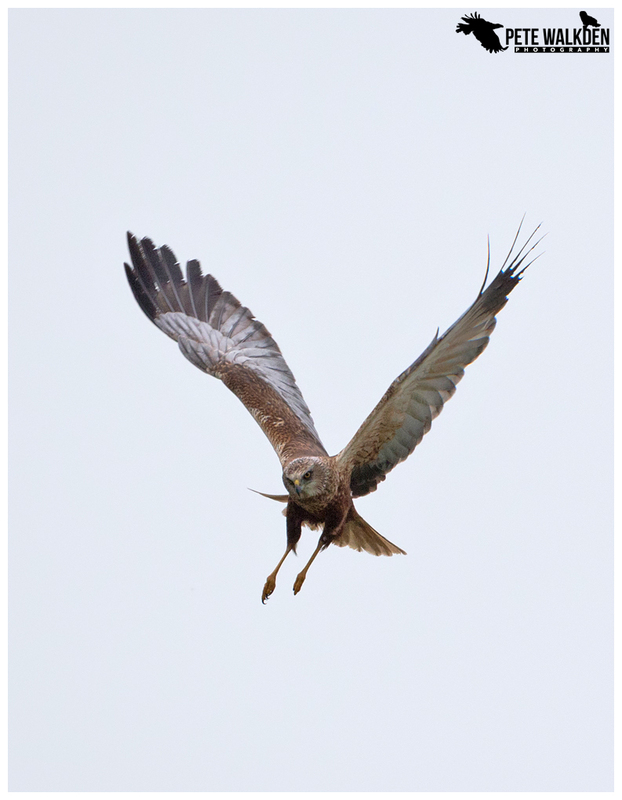 And further off, the marsh harriers were also out hunting frequently, though rarely close enough for my liking for a shot. Eventually a hobby dived into view, fizzing across the surface of the water, catching a dragonfly on the wing, before gliding casually along as it plucked the wings off before consuming the unfortunate insect. 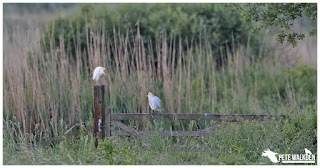 On my last visit to the Levels, people were understandably excited to see a great white egret, and everyone was taking photos. Hence I was rather surprised to find that I was the only one taking shots when one glided past the hide! 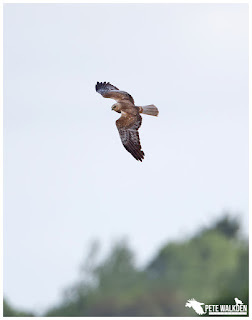 Amazing that these once rare birds are now so plentiful on the Levels that the locals take them for granted. Eventually the temperature of the constant breeze blowing in my face got the better of me, and I went for a walk again to warm up. 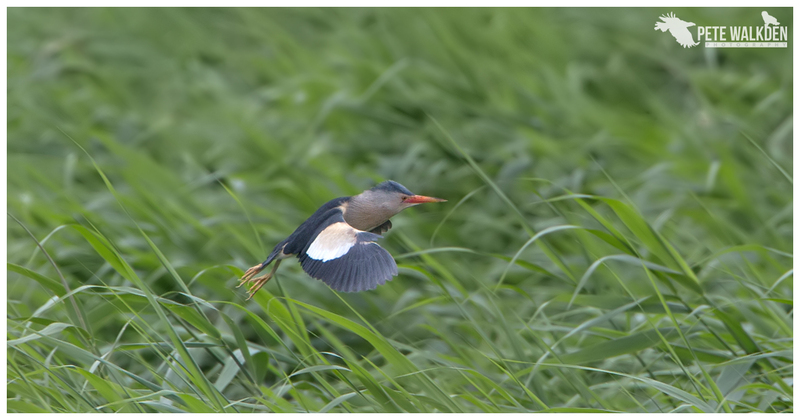 After seeing a cattle egret for the first time, I wondered if my luck would be in for a second tick of the day, and headed down the track to where the little bittern had been occasionally showing. Speaking to the observers there, it had been seen just after dawn, but nothing since. I could hear it though, but that doesn't really count. It was tricky to work out whether the "barking" sound was being made close to us or not, as the wind was carrying the call, and swirling round with it. 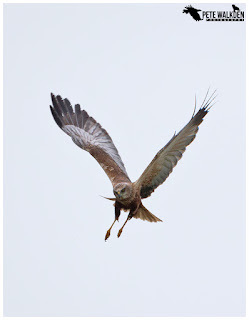 Then, as I peered through a gap in the trees, I caught sight of it, as it flew between patches of reeds. No time for a shot, but I'd seen it at least. Wanting to warm up still, I chose to hang around, and hope for another sighting, and it proved to be a wise move, as not only did we see it fly over the reeds, but on one occasion it actually flew round in a circle back to where it took off from. They are small though, and not easy to focus on as they skim the tops of the reeds. That said, I did manage to get a few record shots. Quite a brightly coloured bird. After the excitement of seeing that, I opted for a long walk around the tracks of Ham Wall, listening to the bitterns booming, and quite often seeing more great white egrets flying by. The forecast for the day had been for cloud coming in late afternoon, and that was indeed the case, as I decided to cross over to the other side, Shapwick Heath in this case. I had hoped to see the glossy ibis but when I did, the skies were darkening by the minute, and drops of rain sent me scurrying to a hide for shelter. 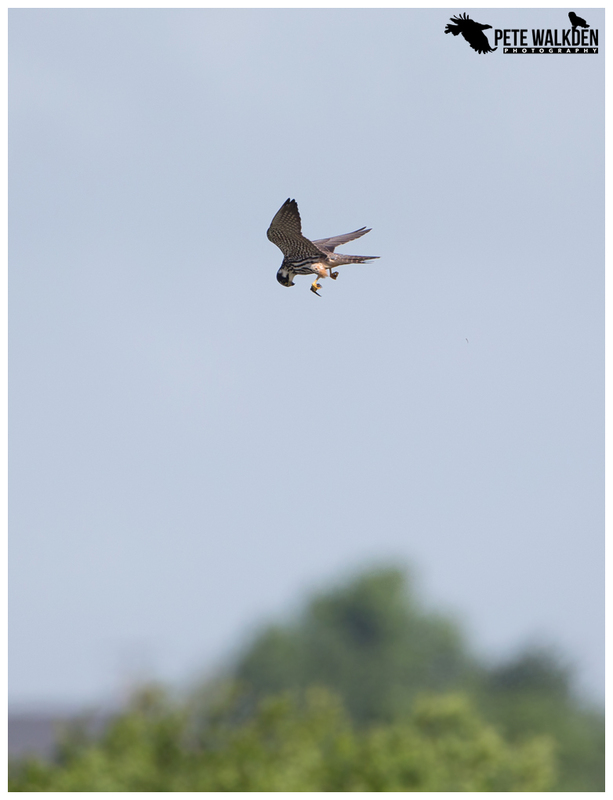 The rain looked set in, and any hopes of seeing one of the resident barn owls out hunting were washed away. 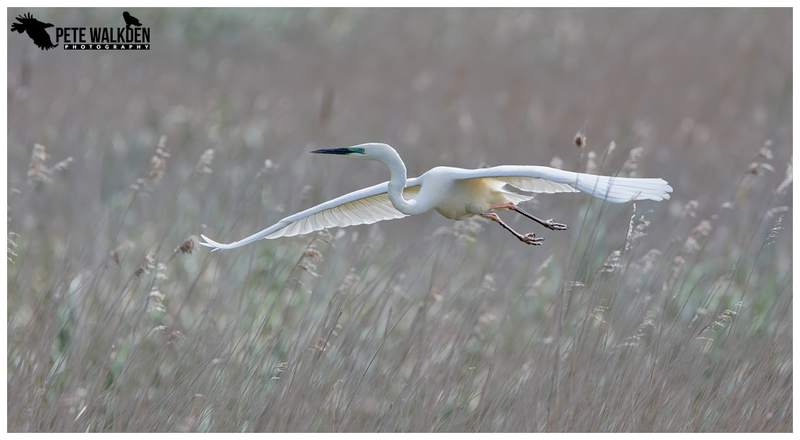 I did catch a good sighting of a marsh harrier in the gloom, and also one of the great white egrets dropped into the pool in front of the hide, but annoyingly remained in the reeds, making it impossible for a shot. When the rain eased, I made a dash for the car park again, and only just made it in time, when the heavens opened once more. So much for a dry day! Hopefully it won't be so long before I revisit the Levels though, as they reminded me just what a fantastic area they are to explore.